Tim Gunn, Emmy-winning co-host of the show, Project Runway, says the fashion industry is not making it work for plus-size women. In an article for The Washington Post, he called it a disgrace. Gunn, a fixture in the fashion world and a long-time design educator, is calling on designers to get over their disdain, lack of imagination, or cowardice and make clothes for women who are above size 12. He tells NPR’s Kelly McEvers that the fashion industry needs to adjust itself to take advantage of the market for plus-size clothing. I didn’t even have to see the shows to know that I would be correct. There were some plus-size models on the runway, and I’m happy to say that Christian Siriano led that cause. And what I loved about his show is that he fully integrated the models that were larger than a size 12 with all the little double and triple zeros. And it was all seamless. And I said, “Have you been in your own department for these women? The clothes are hideous. If I were she, I wouldn’t shop either.” Also, how do you find the departments? Usually stuck behind pots and pans. It’s just so marginalized, it’s insulting — and it needs to change. Well, I’ll tell you it has been very polarizing. There have been people who have rallied around this cause and said, “Yes, we need to do more.” Then there have been other people who have basically said, “How dare you point a finger at this industry? And how dare you try to strip away all this glitz and glamour that we represent?” To which I said, “You mean, glitz and glamour can only go with a size double zero, eating disorder person. Is that what you’re saying? Because as far as I’m concerned, glitz and glamour knows no boundaries. You mean, glitz and glamour can only go with a size double zero, eating disorder person. Is that what you’re saying? Because as far as I’m concerned, glitz and glamour knows no boundaries. I mean, I’m more of an advocate for having us look long and lean than I am an advocate for having us look short and squat because we simply look better. But my point is if you are short and squat, you can look long and lean. I would say that women should stay away from items that are one piece, meaning a dress or a jumpsuit. You can buy separates and have it still look like one piece. They’re so much easier to fit. Colors are important, and jewel tones tend to be more flattering on most people than pastels, which are washed out and tend to make us look washed out. Prints are wonderful, but they can be dicey. I’m an advocate for medium-sized prints. Nothing too small — it looks infantile. Nothing too big, and we all end up looking like a couch. There are occasions when [a muumuu] is very appropriate, or if that’s your style. I don’t believe in making anyone into my dress-up doll. And any make-betters that I do are truly a collaboration. I pummel people with questions, ask them, “What do you do? With whom do you interact? How do you want to present yourself to the world?” And then let’s do it the best that we possibly can. From anthrax outbreaks in thawing permafrost to rice farms flooded with salty water, climate change seems to play a bigger and bigger role in global health each year. But sometimes it can be hard to grasp what all the numbers and stats mean. For instance, when scientists say the Earth’s average surface temperature has gone up about 1 degree Celsius over the past 150 years or so, what does that really mean? Besides, hasn’t the Earth’s temperature always fluctuated? Now a cartoon from Randall Munroe, a former roboticist at NASA, helps put the numbers into perspective. Before scrolling through it, check out those axes. Along the x-axis is temperature change. And each vertical block of color is 1 degree Celsius or 1.8 degrees Fahrenheit. On the y-axis, we’ve got time. The whole cartoon, which starts at the end of the last ice age, represents about 22,000 years. People have been around for about 200,000 years. The dinosaurs were around about 65 million years ago. And Earth is 4.5 billion years old. So the graph is only a teeny-tiny period of the Earth’s lifetime. “The cartoon is fantastic!” says Curt Stager, a paleoecologist at Paul Smith’s College. “Really seeing the temperature changes over the long time scale helps you grasp, on a gut level, what we’re doing to the Earth,” he adds. But there’s one problem with the graphic that makes it a bit misleading. As you scroll up and down the graphic, it looks like the temperature of the Earth’s surface has stayed remarkably stable for 10,000 years. It sort of hovers around the same temperature for some 10,000 years … until bam! The industrial revolution begins. We start producing large amounts of carbon dioxide. And things heat up way more quickly. Now look a bit closer at the bottom of the graphic. See how all of a sudden, around 150 years ago, Munroe changes the dotted line depicting average Earth temperature to a solid line. He makes this change because the data used to create the lines comes from two very different sources. The solid line comes from real data — from scientists actually measuring the average temperature of the Earth’s surface. These measurements allow us to see temperature fluctuations that occur over a very short timescale, say a few decades or so. But the dotted line comes from computer models — from scientists reconstructing the Earth’s surface temperature. This gives us very, very coarse information. It averages the Earth’s temperature over hundreds of years. So we can see temperature fluctuations that occur only over longer periods of time, like a thousand years or so. Any upticks, spikes or dips that occur in shorter time frames get smoothed out. So in a way the graphic is really comparing apples and oranges: measurements of the recent past versus reconstructions of more ancient times. In fact, if you take the modeling method used to create the dotted line and extend it all the way out to the present, the recent spike in the Earth’s temperature would be partly smoothed. Kevin Anchukaitis, a paleoclimatogist at the University of Arizona, ran that exact experiment Tuesday and showed his results on Twitter. “It isn’t possible to confidently compare annual observations v. millennial-scale reconstructions, he writes, without accounting for these differences in the data’s resolution. Andrea Dutton, a geochemist at the University of Florida, agrees. This graphic, she says, helps us make the connection between the numbers and their impact on life, even if the cartoon itself isn’t perfect. Samantha Cannariato has been trying to return her Samsung Galaxy Note 7 for more than a week. All owners have been urged to exchange the device after reports of phones exploding or catching fire. After hours in calls and five trips to the store, Cannariato still can’t get rid of the phone. Her story — like that of many other U.S. users trying to take part in Samsung’s unofficial recall — winds through a network of stores, interchanging sales reps, bureaucratic intricacies and unclear guidelines. As the world’s largest smartphone maker pushes to reclaim some 2.5 million potentially hazardous units shipped globally, it is facing an enormous-scale process and growing concerns about the recall’s lasting impact. Cannariato’s Galaxy Note 7 is less than a month old. 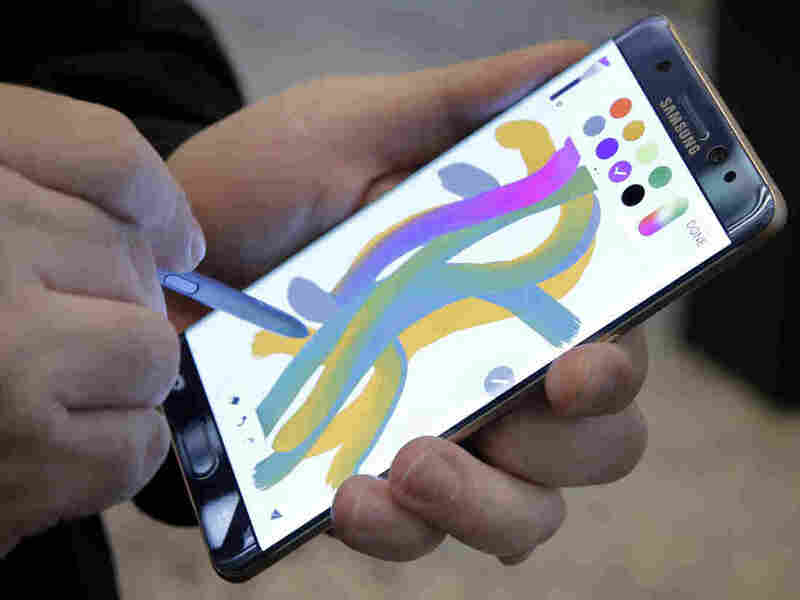 Its purchase was well-weighed — she calls it her first “fancy phone.” And it is: Waterproof, with curved display, top-rated camera and a practical stylus, Samsung’s latest smartphone is a crown jewel, the company’s “best,” an anticipated rival to Apple’s new iPhone. “A really great phone,” in Cannariato’s words. But then came several dozen reports that the phones overheated and flared up, particularly while being charged. Samsung Electronics traced the problem to a flaw in the phone’s lithium-ion battery — such batteries have afflicted other devices before, setting ablaze “hoverboard” scooters, electric cars, airplanes and iPods. 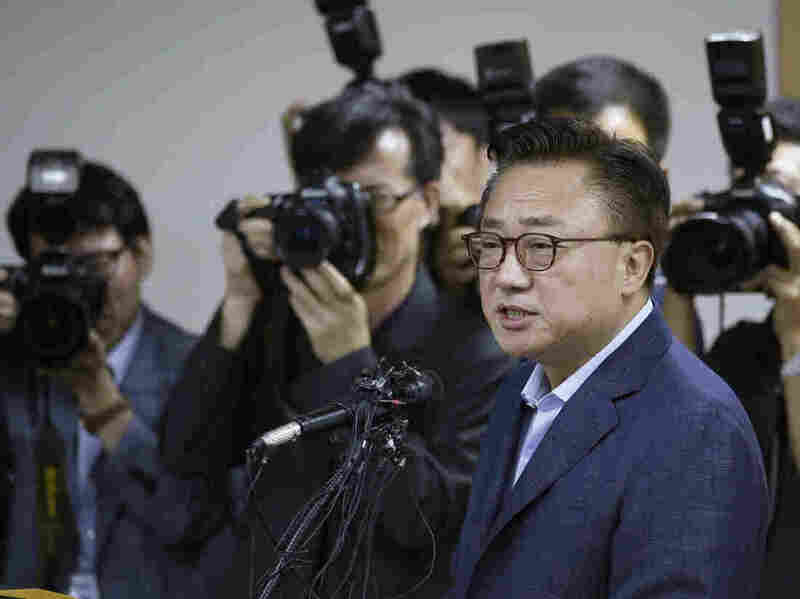 “There was a tiny problem in the manufacturing process, so it was very difficult to figure out,” Dongjin Koh, president of Samsung’s mobile business, told reporters on Sept. 2. The company launched a global recall. “It will cost us so much it makes my heart ache,” Koh said. But “what is most important is customer safety,” he said. Cannariato, who works in logistics in Port Wentworth, Ga., heard the news a day or two later. First came a Facebook post from a friend who had helped her pick the phone. Then came a message from her carrier, AT&T. She hurried over to an AT&T authorized retailer where she had bought the device. The clerk asked her whether she was experiencing problems with the phone (she wasn’t) and declined to accept it. Cannariato decided to give it time; the directions may have not trickled down, she thought. When she returned later that week, another clerk referred her to an official AT&T store. As part of the recall, Samsung is offering to switch U.S. consumers to another Galaxy phone or get a loaner phone until the new, safer Galaxy Note 7 becomes available, plus a gift of $25. Major carriers, including AT&T, have expanded the offer to exchange the recalled Samsung phones for any other phone in the store. However, AT&T representatives referred Cannariato back to the retailer that had sold her the phone — they couldn’t find her in the system. There, she faced another, almost gleeful, rejection from another clerk, she says. Then the system was down. The store didn’t pick up the phone. On the fifth visit, a manager said Cannariato couldn’t exchange her phone because it was attached to a business account, not in her name but in her mother’s. Later, she was referred back to the original retailer. Such complications, to varying degrees, are faced by other customers. Alongside stories of completely smooth transactions floating on Twitter, reddit and Samsung forums are posts about lengthy customer service calls, unnecessary store visits, demands of original boxes or accessories and other hiccups. In its announcements so far, Samsung Electronics America refers to the fire-hazard problem vaguely as a “battery cell issue” and to the recall as “a product exchange program.” The company says consumers will be able to get a new version of the Note 7, but its approval is pending without a clear release date. And the CPSC’s involvement is, in fact, part of the challenge. That is the agency that facilitates product recalls. Traditionally, companies voluntarily work with the government to operate the recall process, providing the details of a problem. That prompts a formal recall notice, which legally halts all sales of the faulty product and creates a central location for consumers to report incidents, learn about remedies and find proper channels to pursue them. This has yet to happen for the Galaxy Note 7. A week after Koh’s press conference, the CPSC issued a warning to consumers to power down Note 7s and stop charging or using them. Samsung and the CPSC have yet to announce a formal recall. Technically, it’s still completely legal to keep selling the Galaxy Note 7 — and some do remain on sale online. Samsung’s shares regained some strength in Wednesday’s trading after taking a nosedive on the news of the recall, which erased billions of dollars in company value. In response to host David Greene, Roberts added, “I think it’s unlikely to be a real thing. I’m sure it’s an overreaction of an already skittish party.” She named Vice President Joe Biden as the candidate “everybody” is looking to as a replacement, again, with no indication of who “everybody” is, except by implication that they are party members of unknown rank. GREENE: Cokie, let me start with you. The medical event that we saw from Hillary Clinton, how is — how are Democrats responding to this right now? ROBERTS: Well, people are angry at the lack of transparency. It was hours before the pneumonia diagnosis was revealed, after seeing this incredibly damaging video of her being helped and stumbling into a van. And, look, there’s a reason why the campaign’s not transparent. Obviously, it gives Trump ammunition. And he’s been setting her up for this for months. ROBERTS: Right. It has them very nervously beginning to whisper about find — having her step aside and finding another candidate. GREENE: That is no small thing to say. ROBERTS: No, I don’t think — I think it’s unlikely to be a real thing. And I’m sure it’s an overreaction of an already skittish party. But, you know, they have looked at what happens in that circumstance. And the Democratic National Committee chair convenes the committee, and they vote. Now, ironically, the candidate that everybody looks at is Joe Biden, who, of course, is older than Hillary Clinton. But then again, so is Donald Trump. And, by the way, we know nothing about his health. ROBERTS: And that is happening, we assume. But there is enough unhappiness that this kind of sotto voce stuff is going on. NPR’s political team has not reported the story. I am not casting doubt on Roberts’ sources. I do question the newsroom’s decision to let the story be floated into the national conversation as it was, in what was supposed to be a commentary, without any sourcing offered. NPR policies strictly limit, but do not completely disallow, using anonymous sources, for good reason, and they require that those sources be identified as completely as possible. 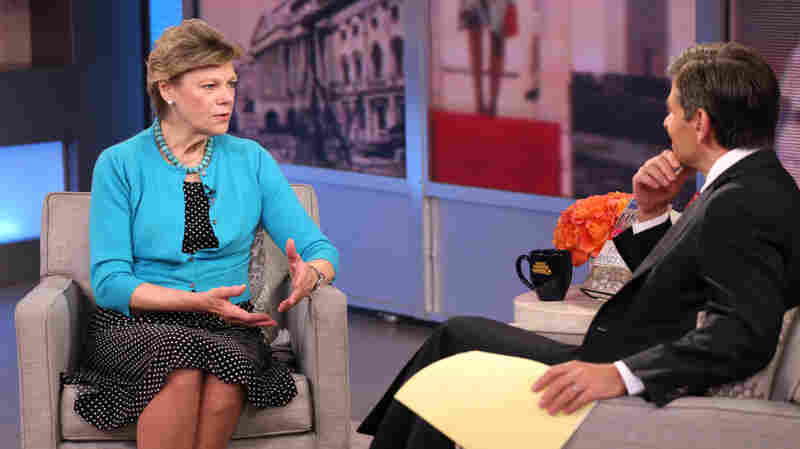 Roberts is a former NPR correspondent, well known among listeners from her decade here covering Congress. But at NPR, she long ago transitioned into the role of analyst, and more recently, commentator. NPR has attempted to clarify this change in her status, but has not been very successful, if the emails to my office are an indication. I appreciate the point that commentary can be informed by reporting. But I am concerned about the confusion of roles and how it contributes to the big blur of this election season, where commentary, analysis, partisan argument and reporting have converged, with unfortunate consequences for factual reporting. I’ll have more thoughts on how NPR handles this in an upcoming column. Hillary Clinton’s campaign released additional medical information on the Democratic nominee’s health Wednesday, a day before she is set to resume campaigning after being diagnosed with pneumonia. A two-page letter from the 68-year-old’s personal physician, Lisa Bardack, chair of Internal Medicine at CareMount Medical in Mount Kisco, N.Y., says she is “recovering well with antibiotics and rest” and that Clinton “continues to remain healthy and fit to serve as President of the United States.” The rest of her “complete physical exam was normal and she is in excellent mental condition,” according to Bardack. Bardack also said she evaluated Clinton nearly two weeks ago, on Sept. 2, “for a 24-hour history of a low grade fever, congestion and fatigue.” Clinton was also treated in January for a sinus and ear infection. 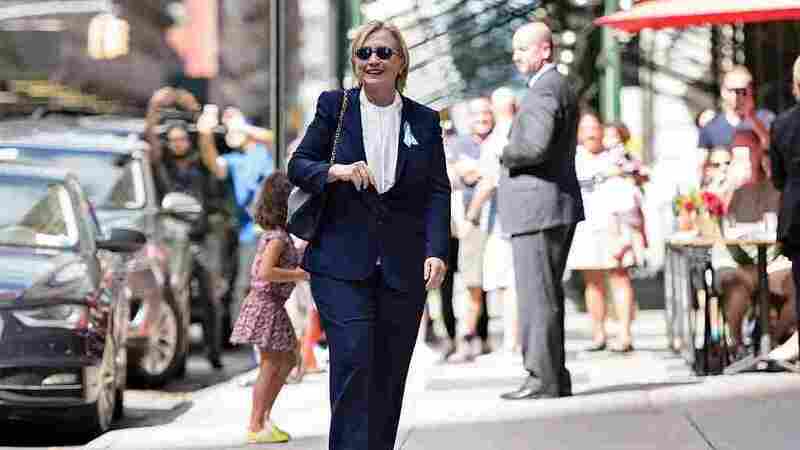 The pneumonia diagnosis Clinton received last Friday came after a noncontrast chest CT scan revealed a small right middle-lobe pneumonia that was a mild, noncontagious bacterial form of the disease. She was treated with Levaquin, an antibiotic, for 10 days. In addition to the antibiotics for her pneumonia, Clinton takes three regular medications — Armour Thyroid, used to treat hypothyroidism and other thyroid disorders; Coumadin, which can prevent and treat blood clots; and Clarinex, an allergy medication — and vitamin B-12 as needed. Clinton had been previously diagnosed with blood clots, and in 2012 while she was secretary of state a clot was discovered in her brain after she had a concussion. Bardack also said Clinton is “up to date” on her vaccinations, including Prevnar and Pneumovax, pneumonia vaccines. Clinton’s mammogram and breast ultrasound results have been normal. Her lab tests (vitamin D, CBC, fasting blood glucose, comprehensive metabolic panel, hemoglobin A1-C, vitamin B-12) were all described as “normal” by her physician. Her cholesterol was normal at 189, LDL at 103, HDL at 56, though her triglycerides were somewhat elevated at 159. Clinton’s blood pressure was 100/70 during her physical, which is normal, along with a heart rate of 70, respiratory rate of 18, temperature of 97.8 and pulse oximetry of 99 percent. Clinton’s running mate, Virginia Sen. Tim Kaine, has also released health information and we will update this post accordingly. The water in Flint, Mich., is still not safe for residents to drink, but at the state capitol, in court rooms and on the campaign trail, there was lots of talk Wednesday about what should be done. Is Running Good Or Bad For Your Health? There’s no question that running changes your heart. The issue is whether these changes are good or bad. I don’t mean the occasional three miles once or twice a week, although even this minimal amount of exercise seems to have positive health benefits. In other words, can too much running be bad for you? The issue here, as pointed out in an excellent special report by Alex Hutchinson published this month in Runner’s World, is what happens long-term to your heart if you are a pretty serious runner, averaging 20 or more miles a week consistently for a long time. The controversy heated up after a 2012 editorial in the British journal Heart co-authored by cardiologist James O’Keefe. “Exercise may be the most important component of a healthy lifestyle, but like any powerful drug you’ve got to get the dose right,” he said. Excessive running may thicken the heart tissue causing fibrosis or scarring, and this may lead to atrial fibrillation or irregular heartbeat. Prolonged exercise may also lead to “oxidative stress,” a buildup of free radicals that may bind with cholesterol to create plaque in your arteries. It makes some sense that too much of a good thing may end up being bad for you. The question is how accurate can these assertions be in longitudinal studies where many conflicting factors are taken into account. Every person is different. Different genetic makeup and predisposition to disease, different diet, different lifestyle. These variables, as well as others like body mass index, blood pressure, and cholesterol levels, are routinely either ignored or adjusted in studies to make the statistical analysis more manageable. Unfortunately, we can’t have copies of the same person doing different things for a more direct comparison. Being 57 and a very serious runner, I have a vested interest in these studies. There’s no question that when I run up steep trails, I can feel the stress in my heart — sometimes to the point that I need to slow down and hike up in order to get things under control. Your body is usually good at telling when you are going over the limit. We all have a max heart rate, and using watches with heart monitors can be immensely useful to track your heart’s effort. However, we can’t see what’s going on inside, whether our heart tissue is getting thicker and our arteries progressively more blocked. Hence, the interest in these discussions among experts, despite their usually confusing conclusions. Endurance runners can have hearts which are 50 percent bigger than normal: more muscle to pump blood to those working muscles. Their arteries are wider and more expandable so that more blood can flow. Their resting heart rates are slower. They have more abundant capillaries improving blood circulation to tissues. So, even if there would be an increase in calcium buildup in arteries potentially leading to clogging, it could be less damaging than for a non-runner with thinner arteries and less capillaries. Also, in runners such plaques tend to be denser and thus less breakable. The evidence is not final, but it’s also not as bad as many think. The health benefits of running short or long distances are so overwhelmingly positive that they swamp potential dangers. Plus, there is a whole different aspect to this discussion, the psychological reasons why people run. Serious runners have a commitment that goes beyond just exercising for good health. Generally, the more they run, the more they feel connected to their inner-selves, the more clearly they see themselves and the tasks ahead. There’s something exhilarating about running, the freedom to move on a road or on a trail, that sends us back to our primal selves. If you are a beginner, it may take a while to break through the initial barrier of physical discomfort. But with persistence comes big payoff. And this is an emotional, not just a medical, payoff. As we evolved as bipeds, we became able to run for long distances after prey, having a endurance antelope or deer don’t have. This is engraved in our genetic makeup, imprinted in our being. Modern life takes this away from us, as we spend hours a day sitting in front of screens, motionless. (As I am right now, writing this.) The act of running connects us with our ancient past, awakening a part of us that lays dormant, hidden underneath our daily routine. Every runner should listen to his or her body and slow down and stop if necessary. I even wear an ID band, just in case something bad happens on some remote mountain trail. Consulting a sports physician is essential, if you are to become a serious runner. But, once potential medical factors are ruled out, those of us who love running can’t live without it. Whatever goes on in the heart and arteries, the mind only gets clearer on the road. After an embarrassing gaffe on national television last week, Libertarian presidential candidate Gary Johnson tries to get his campaign back on track with a speech on economics in Detroit Wednesday. The world’s largest seed company, Monsanto, is being bought by Germany-based chemical company, Bayer. Farmers at a farm show in Canada are wondering if this will reduce competition.